Remote control drone forces grounding of departing flights, prevents landings. 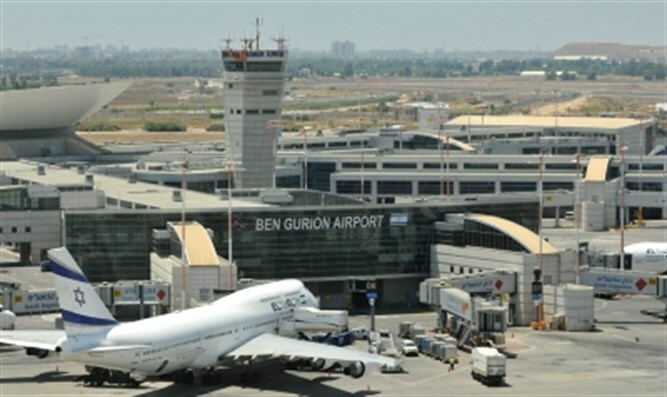 An unmanned, remote-controlled aircraft penetrated the airspace over Ben Gurion Airport just after midnight early Wednesday morning, forcing a temporary shutdown of the airport to both departing and arriving flights, Hadashot 0404 reported. After the drone was detected, officials at Ben Gurion Airport, Israel’s largest international airport, ordered a temporary shutdown to all air activity, causing minor delays in departing flights. Normal operations were resumed at Ben Gurion some 15 minutes later. Following the incident, police and airport security officials began an investigation into the illegal drone flight over the airport. In 2015, a Brussels Airlines passenger plane carrying 160 passengers and crew nearly collided with a drone on its approach to Ben Gurion Airport.